Minimum of 10 guests. All prices are per person. Deliveries over 30 miles from our location require a minimum of 25 guests. Disposable Flatware & Napkins are included. Gluten Free Bread or Bun available, add $2 for each. To see the full menu, click the Download Corporate Menu link below. 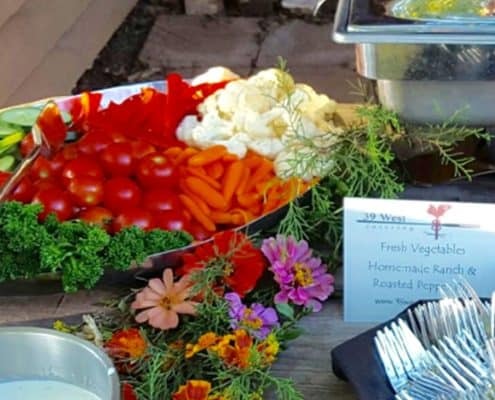 All Corporate Menus include Disposable Plates, Flatware & Napkins Custom Menus are available upon request Chafing Dishes & Buffet Linen are available for an additional charge upon request. We are a full service caterer with over 20 years of experience. Food is prepared by chefs in a fully licensed and insured kitchen. We cater any type of event and can provide anything you may need. Call or email us with your event date, time, location, number of people, your contact information and the menu option(s) in which you’re interested. We will prepare a Catering Invoice for your approval. Once approved, we’ll see you on your event date!